Another glorious morning at Adelaide Hills Pastured Eggs. Tom the Maremma looking after our Chickens as they forage on a smorgasbord of grasses and legumes as a part of their diet. Have a great day. We’ve all heard the term a balanced diet, but what does that mean. Well for us here at Adelaide Hills Pastured Eggs we want to provide a smorgasbord of plants for our chickens. Here we have a picture showing the 15 varieties sown in Autumn 2015. Bio diversity equates to the sum of the individual parts is greater than the whole. From plant leaf tissue testing conducted by the Southern Cross University revealed our bio diverse pastures showed sufficient or higher nutrient levels for ALL nutrients tested. N, P , K, Ca, Zn, S, Mg, Cu, Mn, Mo & Co were all present in the plants at near luxury levels. Bio diversity means you couldn’t cram any more nutrition in even if you tried. We didn’t add any chemical fertilizers, that’s right, not one. 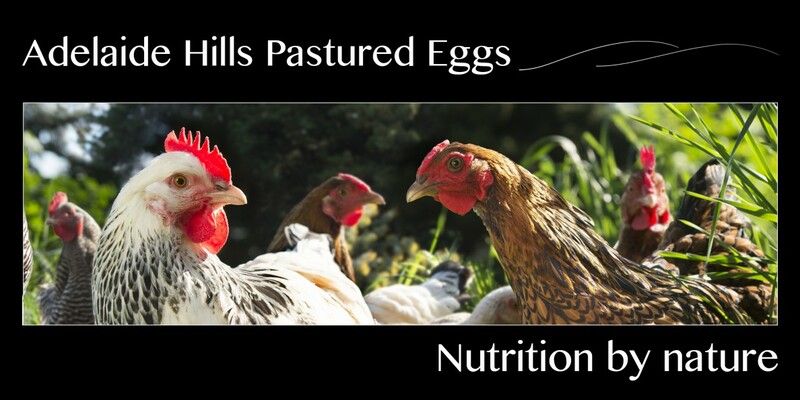 So how did all that nutrition end up in our plants (and by design into our pastured eggs)? Bio diversity of plants presupposes a bio diversity of microbiology in the soil ensuring optimum nutrition uptake by the plants, So if you want nutrient dense eggs, get them from chickens raised on bio diverse pastures, like whats on offer at Adelaide Hills pastured eggs. Tom the Maremma and his Girls!